Head boys soccer coach at Manchester High school (1945-1979)... Four state championships... Qualified for Connecticut Interscholastic Athletic Conference state tournament play 26 times, the last 13 of which were consecutive. His four championship years spanned three decades: 1956, 1958, 1962 and 1979. This 1979 victory came in his final year as head coach. Manchester also enjoyed runner-up status seven times. The team also captured 12 league titles... Connecticut High School Coaches Association’s (CHSCA) Soccer Coach of the Year Award (1964). The National High School Coaches Association, Eastern Section, Coach of the Year (1979). Connecticut Sports Writers Gold Key Award (1980). Inducted into Manchester Sports Hall of Fame, as well as the CHSCA’s Hall of Fame. Led his freshman team at Trinity College to an undefeated season in 1957... 66 goals and 52 assists in 3 varsity seasons at Trinity... All-New England and All-America honors three times, in his sophomore, junior and senior years... Represented the United States in a World Cup qualifier against Mexico in 1960... Played in the Connecticut Soccer League (1955-1970) as a member of Scandia (Swedes), Heublein, Balnea and New Britain Falcons. He was chosen numerous times for the Connecticut All-Stars team. Coached youth soccer teams in Glastonbury, Rocky Hill, Newington and Berlin. In the l980’s Alex was also a high school referee. Chosen 1 of 100 Greatest Connecticut Athletes of the 20th century. Hartford Courant "Best of the Century" December 5, 1999. Led the University of Connecticut into to the national top 10 during his collegiate career (1971-1974)... UConn compiled a record of 39-13-4... All-Yankee Conference and All-New England three times, two-time All-American... Two-time UConn Team Most Valuable Player... Earned the University Medallion, which recognizes academic and athletic achievement... Received Outstanding Senior Athlete Award ...UConn’s first participant in the Senior Bowl... Holds the UCONN single-game record for total points (9)... Played professionally with the Connecticut Yankees of the American Soccer League... Second round draft pick of the Dallas Tornadoes of the NASL, (1975)...Played with the New England Oceaneers (1977)... Played a key role on Connecticut Soccer League championship teams... Currently the head coach for Eastern Connecticut State University men’s soccer team. Connecticut’s premier soccer sportswriter at the high school level for many years. His stories in the Hartford Courant gave the scholastic game visibility and prominence... Joined the Courant in 1973 and soon covered the state’s professional teams, the Hartford Bicentennials (North American Soccer League) and the Connecticut Wildcats and Yankees (American Soccer League)... His coverage of college soccer earned the1974 New England Intercollegiate Soccer League Media Award... Connecticut High School Soccer Associations Distinguished Service Award (1982)... 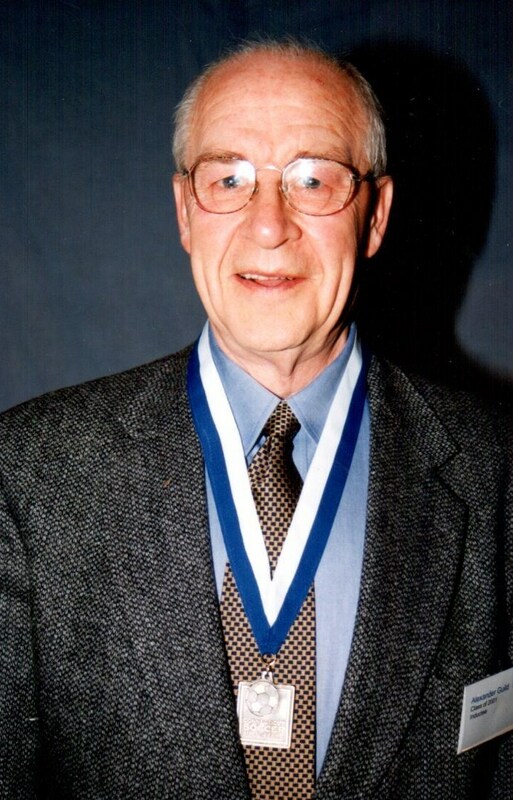 The Central Connecticut Soccer Officials Association Hugh S. Greer Distinguished Service Award (1986)...CT Association of Athletic Directors Distinguished Service Award for Work Outside the Field of Athletics, (1987)... President of the CT Sports Writers’ Alliance from 1978-80, and treasurer since 1981. Rocky Hill High School Boys Soccer Coach (1960-1995)... 446-91-55 record, 26 Charter Oak Conference titles, 33 consecutive tournament appearances, 22 Connecticut Interscholastic Athletic Conference state tournament semi-final appearances, 14 state finals, and 7 state championships... Connecticut High School Coaches Association’s Coach of the Year Award (1967)... NSCAA’s National High School Coach of the Year Award (1980)... NHSCA National High School Coach of the Year (1981)... CT Soccer Coaches’ Hall of Fame (1981)... Rocky Hill dedicated the high school field “John McVicar Soccer Field” in 1995... President, secretary and banquet chairman for the Connecticut Soccer Coaches Association... One of the original supporters of Connecticut Junior Soccer Association... Formed one of the state’s first youth soccer clubs in Rocky Hill. Soccer coach at Bacon Academy (1960-1969)... E.O. 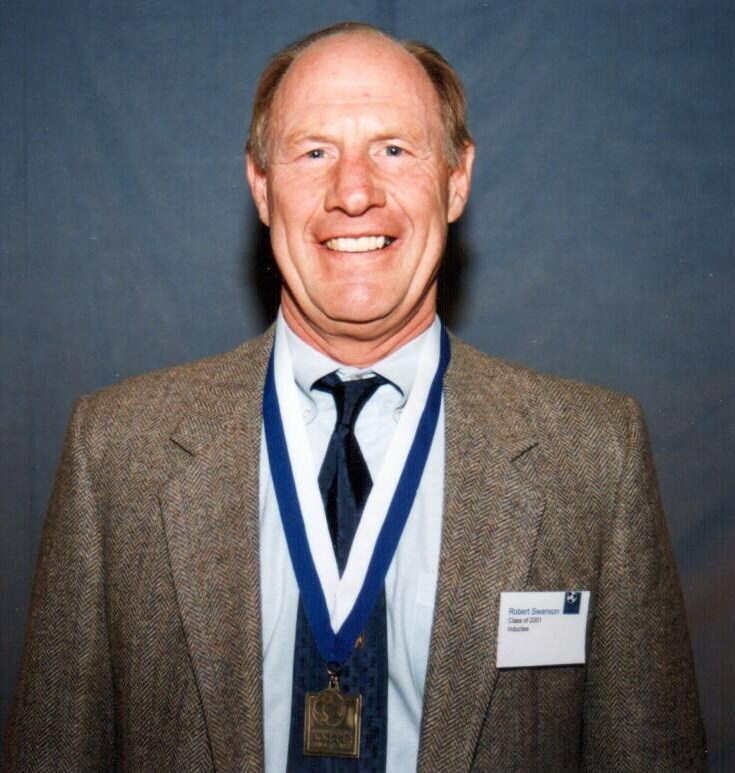 Smith High School in Storrs, (1969-1980) where he produced three state championship teams (1972, ’75 and ’76)... Named NSCAA’s Region 1 Coach of the Year, and CHSCA Outstanding Coach of the Year (1976)... Served as a high school referee and interpreter, NISOA referee and assessor, USSF state referee emeritus and national assessor... MISL official (1980’s)... Earned Connecticut Soccer Coaches Association Service Award Official of the Year (1978 & 1979)... NEISL Outstanding Service Award, the Western NE Prep School Service Award and the Connecticut Girls Soccer Outstanding Official Award (1986)... Earned the NCAA (Women’s Soccer Championship) Service Award, and became a life member of the Connecticut State Referees Association (1980)... Eastern CT Officials Association Distinguished Service Award (1994)... Hugh Greer Distinguished Service Award (1996). Three-sport standout at Watertown High School. Member of the undefeated, untied 1948 UConn Husky soccer team that was declared NSCAA national champion... 117-10-11 record as head soccer coach at Nathan Hale-Ray High School, (1951-61)... Won six state titles in 10 years at Hale-Ray, establishing a state record for consecutive unbeaten games (59)... Charter member in Hale-Ray’s Hall of Fame and the soccer field was dedicated and named Tom Nevers Field...Head Mens Soccer Coach Eastern CT State University (1961-1978)... Won 152 matches, lost 76 and tied 14 to become the winningest coach in the program’s 37-year history... Directed Eastern to three New England ECAC titles and four NESCAC championships... 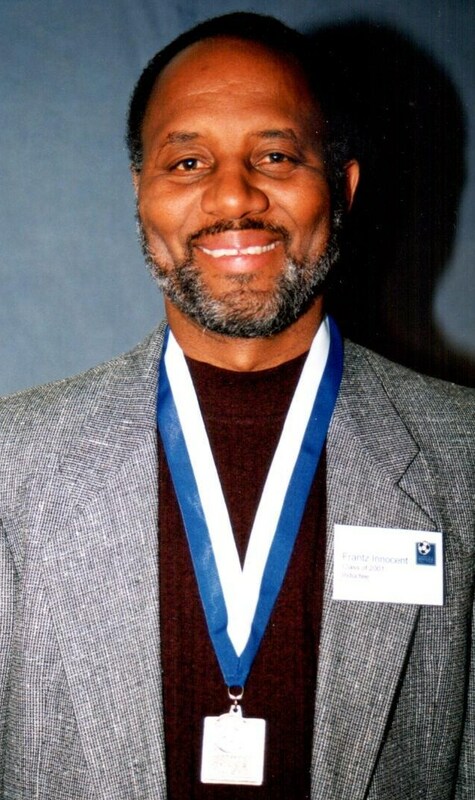 Member of the ECSU Athletic Hall of Fame (1986)... Watertown-Oakville Gold Circle Hall of Fame... CT State Coaches Hall of Fame... Central CT Soccer Officials Hugh Greer Award for Distinguished Service. After a long soccer history in the Fall River, Mass. area, he started his Connecticut soccer career with the Hartford Portuguese in 1949 and was the leading scorer on their championship team... Played for Scandia in National Soccer League of Connecticut and American Soccer League (ASL), 1951-1953... Moved to New York’s highly successful German Hungarian Soccer Club from 1953-1957... Joined Middletown Garibaldi of National Soccer League of Connecticut (1957-61, 1963) and led them to a league title in 1963... Won league title with Hartford Hungarians in 1962 ... Participated in every league All-Star game in Connecticut and New York from 1950-1963, except during his tour in Korea (1951-52)... 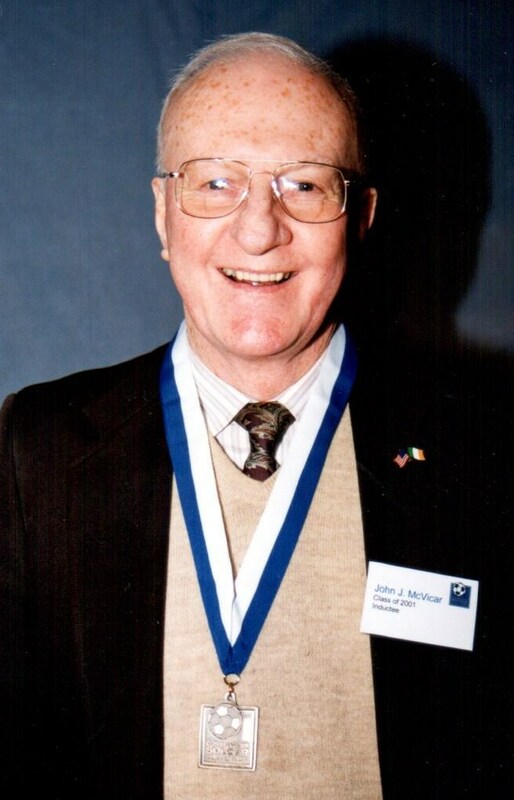 Served as first vice president and president of the National Soccer League in Connecticut (1964-1966)... Certified United States Soccer Federation referee (16 years)... President of the Connecticut State Soccer Referees Association (1967). Head coach of the University of Connecticut’s men’s soccer team for 28 years (1937-41 and 1946-68)... Compiled a record of 148-140-15. Lead UCONN to a perfect 11-0-0 record and Huskies were crowned as the National Soccer Coaches Association of America (NSCAA) national champions (1948)... Coached UCONN to New England championships in 1958 and 1960... NSCAA charter member (1941)... Inducted into NSCAA Hall of Fame (1993)... President of the National Soccer Coaches Association of America (1960)...inducted into the Springfield College Athletics Hall of Fame (1996)... United States Naval Institute has published three editions of his book, Soccer. Bob Swanson of Southington has been involved in all aspects of soccer in CT for 45 years - as a player, coach, referee and administrator... After captaining his teams (1955-57) at Hall High and Conard, he played for the Scandia Soccer Club, Springfield College, Dutch Amersfoort Kwik team in the Netherlands (1960-62), New Britain Falcons (1962-64) and the Hartford German-American Club (1965-68)... For ten years (1981-91) he played for the World-Class Soccer team... In 1992 he started the Southington Soccer over-40 team... Has been a referee for the past 17 years... Became one of their first coaches when the Southington Youth Soccer League was formed (1975); today, he is the only original member still involved ... Served on the SYSL executive board for more than 16 years, including 14 years as president... Four years after the SYSL formed he co-founded Southington Soccer Club, one of Connecticut’s most respected soccer organizations... 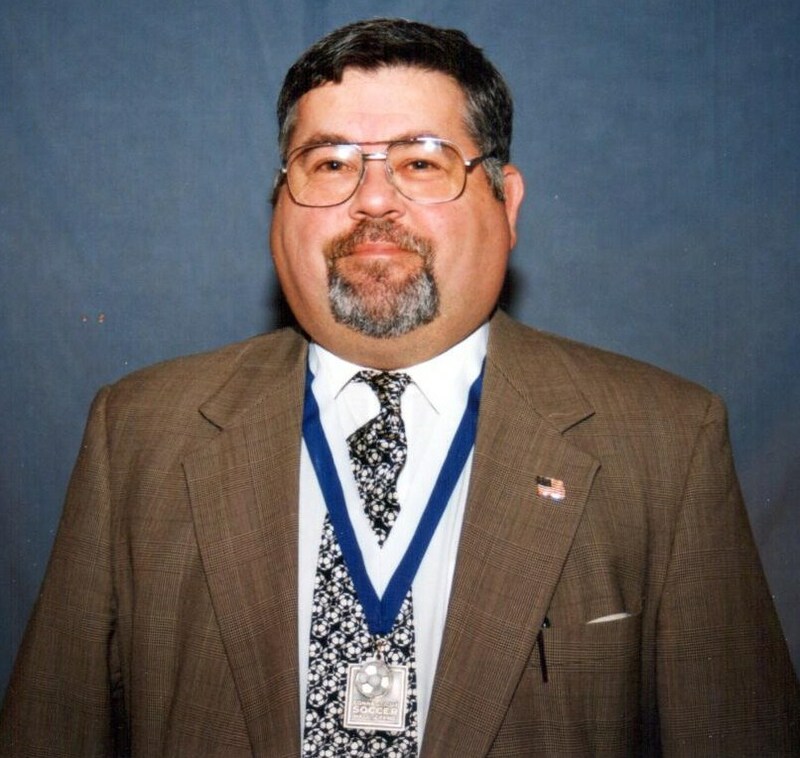 Founded the Southington Invitational Tournament 22 years ago and continues to serve as its co-chairman.